Recover Mac Software for USB drive is Macintosh recovery program that empowers you to recover your lost data from formatted USB drive. 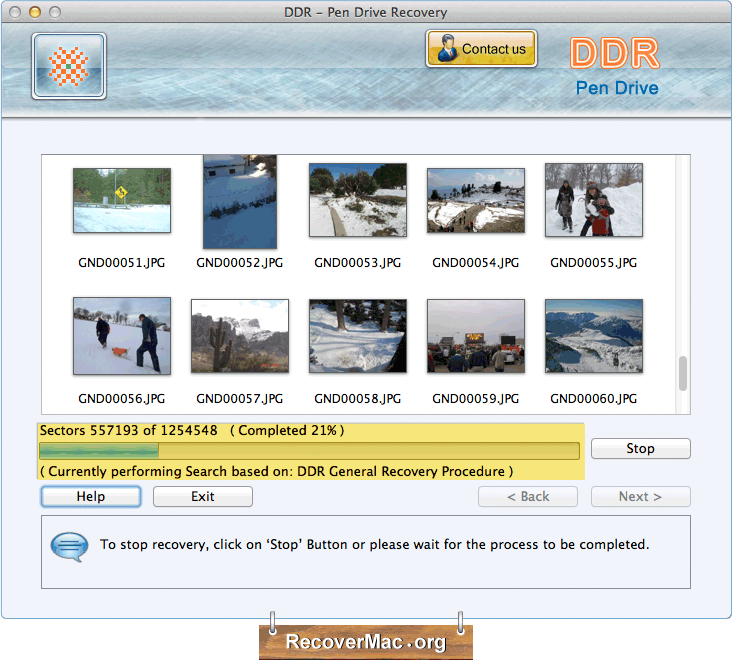 Mac recovery software for USB drive completely scans your USB drives and recover all deleted data. Mac data rescue software for USB drive recovers lost unforgettable pictures, wedding photos, birthday snaps, audio songs, video clips and other valuable data from digital USB mass storage devices. Recovers entire lost data in less time: Mac recovery software for USB drive is capable to recover entire lost data including photos, images, pictures, audio/video songs, documents. Provides inbuilt disk scanning technique: Mac data recover program uses advanced disk scanning mechanism to search and recover all lost files from your USB storage media. Recovers lost data from all kinds of USB drives: Mac files recovery software for USB drives is able to recover deleted, lost or erased files from various kinds of USB drives including pen drive, thumb drive, handy drive, key drive, flash drive and other types of USB drives. Successfully tested on major brands of USB drives: Mac USB drive file recovery software recovers data from Kingston, Transcend, Sony, Samsung, HP, Nikon, Super Flash and other major brands of flash USB drives. 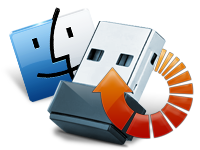 Recover lost files from pen drives, flash drives and other USB digital mass storage media. Recover entire lost data including pictures, photos, images, videos and other data from formatted or virus infected usb drive. Easily searches lost files from logically crashed or damaged USB mass storages media.